In the summer of 1965, India and Pakistan returned to the battlefields of Kashmir in a renewed attempt to establish their respective claims over the disputed, fertile region. On August 5th, more than 25,000 Pakistani soldiers, disguised as Kashmiris, infiltrated the area, mingling with their Muslim coreligionists and encouraging insurgency. Indian forces responded violently, launching Kashmir into a bloody, but ultimately indecisive, summer of invasions, tanks and aerial bombardment. The United States and Soviet Union eventually facilitated a ceasefire which restored pre-war boundaries, and the conflict ended on September 22. To this day, Kashmir remains a disputed territory, and its populace continues to pursue a uniquely Kashmiri identity, independent from Indian or Pakistani influences. In an interview with Thomas Stern beginning March 1997, Howard B. Schaffer, who served as a political and economic officer in New Delhi, relates his impressions of Kashmir, the tragedy of the war, and the ramifications for U.S.-India relations. SCHAFFER: My first official trip to Kashmir was very important because it was an ice-breaker in terms of the embassy’s coverage of the politics of the disputed state. In December 1963, a relic—a hair of the Prophet—was stolen from a shrine near Srinagar, the capital of the state. Initially, the police were unable to come up with any clues that would lead to the perpetrators. Widespread rioting followed, carried out by people who thought that both the theft and the lack of police action had political motivations. The Kashmir government, like all Kashmir regimes in those days (and these), was deeply dependent on the central Indian government for support. Its collapse in the face of the demonstrations gave rise to a very serious political and security crisis in the state. The situation was given wide coverage by both the Indian and the international media…. It was a bad and dangerous predicament for the Indians. The Kashmir people used this theft as an opportunity to protest the way they had been treated politically over the years since the state acceded to India in 1947. It was a very undemocratic state of affairs. The state government was very heavy- handed and corrupt. The government was run by a political party, the National Conference, which was aligned with the Congress Party. Ambassador Chester Bowles felt that it was important for someone from the embassy to visit Kashmir and observe the scene on the spot. A new government had been installed but our reports indicated continuing tension. Up to that time, no embassy officer had ever proceeded on what was an avowedly political visit to Kashmir, primarily because of the opposition of the central government. It was feared that since many Kashmiris were opposed to Indian rule, an embassy observer might come away with the “wrong” perception of the situation, particularly if he met with dissident political figures. We also regarded Kashmir as a disputed area. This too kept our approach very careful and low key. Embassy staff had visited on holidays and some of the political officers had taken the opportunity to observe. Some may have even talked to some Kashmiri politicians, but we had never sent an officer on an official visit to discuss politics as we did in all other Indian states. The central government had some reservations about Bowles’s idea, but it finally concurred. 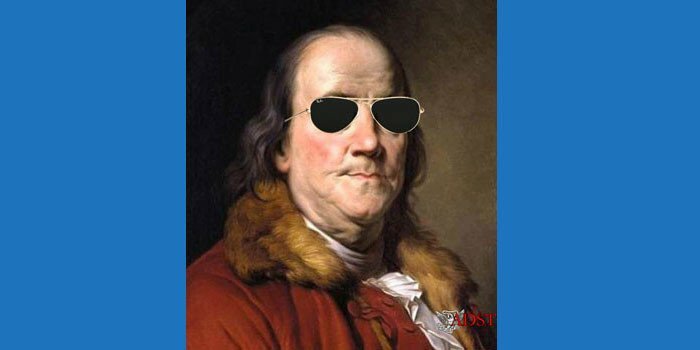 His position was that it was better for the Indians themselves if the embassy and Washington had first-hand analysis, particularly by an embassy officer who spoke the language, than to have to rely on tendentious accounts in the press. To tell the truth, I was quite nervous about being the embassy’s first official visitor to Kashmir. This was by far the most sensitive political assignment that I had ever undertaken. Ambassador Bowles personally counseled me before I left. He didn’t provide any detailed guidance. He left that to what he considered my good sense. But he did warn me to be careful….During my visit, I was able to talk to everyone of importance in Kashmir political life. I assumed that the central government had sent advance notice of my arrival. The embassy had not because we just hadn’t had the time. When I arrived at my hotel, I immediately began to call for appointments. Much to my pleasure, everyone was willing to see me, both those in the government and those who opposed it. I was able to get around quite freely in Srinagar…. There was no question that while I was in Kashmir I was under close surveillance by the Indian intelligence services. I didn’t allow that to bother me. Indeed, during one of my visits to Kashmir the bearers (servants) at the hotel would point out the security officers assigned to watch me. As far as I know, the government never took any action against any of my interlocutors other than Kathwari. I talked to anyone worth talking to–at least, those who were not in jail or otherwise detained. For example, I did not get to talk to Sheikh Abdullah, the famous “Lion of Kashmir” who had been deposed in 1953 and remained in jail in India proper. Both in Srinagar and, soon afterwards, in Jammu—where the government moves in winter time—I saw everyone I wanted to see without difficulties. That included the recently installed prime minister of the state, G. M. Sadiq, who represented the left wing of the ruling National Conference Party and had become New Delhi’s man in Kashmir. I came away from my first and subsequent visits with a good deal of sympathy for the Kashmiris. 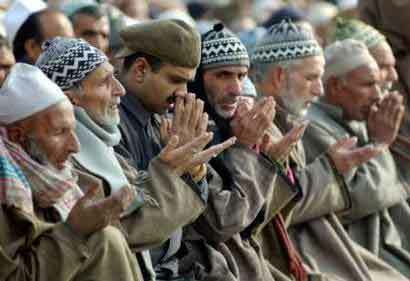 The Muslim majority in the Valley of Kashmir feel a great sense of alienation from India. Most of them do not consider themselves Indians and refer to themselves as Kashmiris—not Indians. They feel they have been badly treated both politically and economically. In their view, they have not benefited from their connection with India. When they go south to look for work, they feel discriminated against—both as Kashmiris and as Muslims. 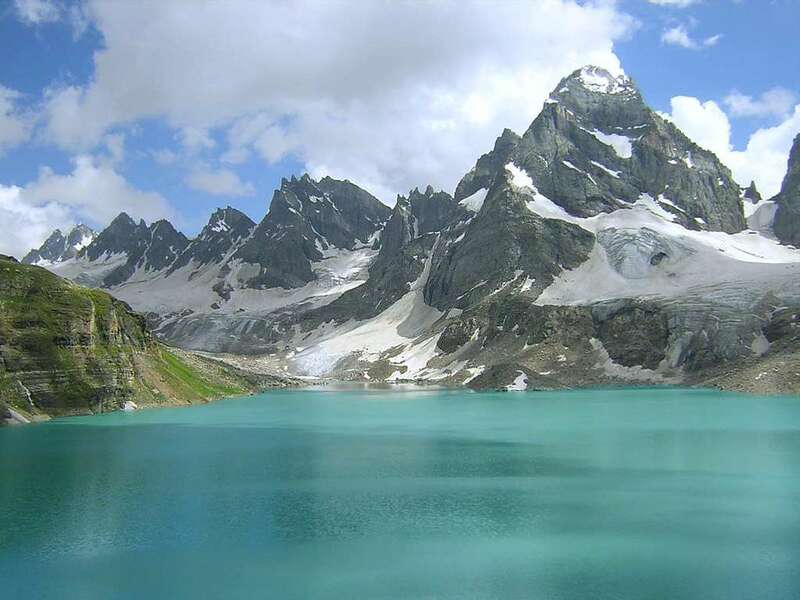 Within Kashmir itself, even though they hold the reins of political power, many of the civil service positions are—or were before their flight from the state in the early 1990s— occupied by the minority Hindu community. Some of the Kashmiris are attracted towards Pakistan. The Indians were viewed as the power behind an authoritarian, corrupt regime that remained in power only because it did Delhi’s bidding. Despite the persistent Indian claim about pouring many resources into Kashmir, there was a widespread sentiment—which persists to this day—that much of the money was going into the deep pockets of Delhi’s favorites, leaving precious little to the masses who needed the assistance. Major land reform had been implemented in the late 1940s and early 1950s, carried out by Sheik Abdullah’s government before it was forced out with the connivance of the Nehru government in 1953. Therefore by the 1960s, land distribution was much more equitable than was the case elsewhere in India. That was very important in Kashmir because it is essentially an agricultural area. Kashmiris are a small society. The Valley itself, which is the key to the Kashmir problem, is only 80 by 25 miles in size. The Valley profits not only from agriculture, but also from tourism, handicrafts and forest products. Despite the complaints, there were merchants in papier maché, carpets and the owners of house boats who were doing well. Nonetheless, these businessmen felt they were discriminated against by India. No efforts were made to build up a manufacturing base in Kashmir aside from traditional handicraft industries. The government viewed Kashmir as the end of the line, geographically, where it did not make economic sense to invest in production facilities. Furthermore, the transportation system between Kashmir and India was very primitive in the early 1960s. There were no rail lines from India proper either to Jammu in the south or the Valley in the north. These geographic barriers almost forced the Kashmiris to develop their own culture—the Kashmiriyat. It was different from India and Pakistan. I concluded in my report that the Kashmiris, if given a choice between independence or integration with either Pakistan or India, would support independence if there were strong enough leadership which could articulate the people’s desires. Many mentioned to me that they could foresee themselves as the “Switzerland of Asia” with friendly ties with both India and Pakistan. The international community, they said, would be quite prepared to spend large amounts of money for the development of such an independent state so relieved would it be to have been rid finally of the Kashmir problem…. 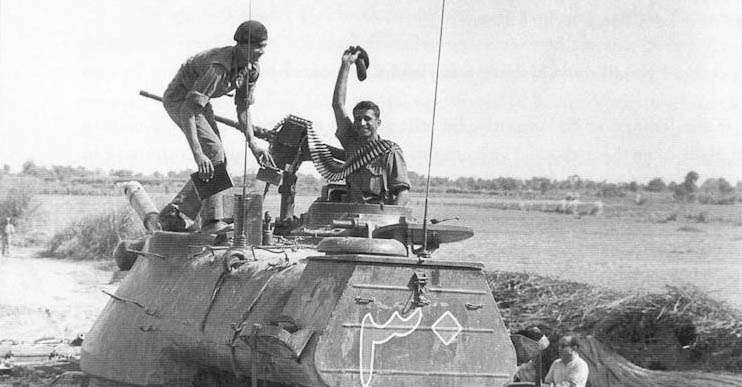 In 1965, the second India-Pakistan war broke out. This of course had a great impact on the Kashmir issue. The Pakistanis had triggered the war in order to win control of the Valley. If initially I had entertained some dim hope for a resolution of the Kashmir problem—and surely I had never been very optimistic—after 1965 I saw no hope whatever. The Indian attitude was just too uncompromising. It had been manifested vividly in the U.S. and British sponsored negotiations between Pakistan and India following the Sino-Indian war, which took place in 1962 before I was given responsibility for following Kashmiri developments. The 1965 war made it clear, as the Indians stated, that Pakistan could not be allowed to win at the negotiation table what it could not win on the battlefield. One interesting result of the war was the changed attitude of the Indians toward the United States and its representatives in India. The Indians were grateful for our assistance, although I think that over time they became uncomfortable with the reliance on the United States that the new relationship entailed…. One factor which helped to abate the initial enthusiasm was our insistence that India engage Pakistan in a dialogue about Kashmir. A lot of Indians saw that as our taking advantage of their country when it was in dire straits and forcing them into something that they had rejected for many years, i.e. the surrender of Kashmir to Pakistan. One other consequence of the war was the large increase in U.S. government officials in India. People in American uniforms were no longer an exception. There were lots of them…. Let me turn now to the 1965 Indo-Pakistan war. A few days before hostilities broke out, it was relatively clear that a chain of events had been set in motion and that there was little chance of avoiding a collision. But before that, I was surprised that tension had risen so high. The first episode took place on August 5th, when Pakistani infiltrators entered the Indian-held portions of Kashmir. Some date the war itself from September 1st, when the Pakistan Army moved across the boundary which separates Pakistan proper from the Indian-held portion of Kashmir. Some say it began on September 6, when the Indian Army invaded West Pakistan. But I think it is fair to say that had someone asked me in July whether war would break out between the two countries, I would probably have replied in the negative. By mid-August, it had become increasing clear that relations were going downhill in a hurry and that there would be a major confrontation. When hostilities broke out, I was put in charge of organizing teams which were sent to the border areas to alert Americans living there about the situation and to encourage them to evacuate southward. We were prepared to house them temporarily in New Delhi while the conflict was taking place in Kashmir and the Punjab. We had had a warden system—that is, a system which used one American to keep track of several of his compatriots in a pyramid structure—but it had grown rather rusty. Bowles was not interested in activating the system, lest we be accused of expecting war. He, in fact, forbade us to update the wardens’ list. So we did not in mid-1965 have as good a list as we should have had, Thus we were painfully aware that we did not have a good enough handle on where American citizens were living in India. Nevertheless, we sent these teams out and that was a memorable experience. I arrived at the border town of Amritsar the day after the Indians crossed into West Pakistan. I must have been one of the last foreigners to get through. Soon after I arrived, there was a Pakistani air raid. I went further north along the border, urging Americans to evacuate. I had sent embassy officers to other areas to do the same. The area I covered was only a few minutes from Pakistan by air. I got to one town which was the home to a number of missionaries. It turned out that they had been in China a few years earlier and had been forced to leave when the Communists took over. They told me that they appreciated my efforts to ensure their safety, but they had been booted out of China already and were not prepared to leave their flock behind a second time. Since they were obviously quite prepared to ignore their peril, I wished them good luck and moved on. I think in fact missionaries were the major part of the American community along the border. There were also some people who had American citizenship which they had acquired by birth in the United States or residence there, but they were ethnic Indians and were essentially part of the Indian community, not foreigners. The border areas were essentially not economically developed, at least not by large-scale industry, and therefore did not attract the kind of investments which would have brought many more Americans to the area…. I think that the 1961-1967 period was important in India. It witnessed both the high-water mark for U.S. involvement in South Asia as well as a quite sudden cooling off of our interest to the point that our major concern in India became economic development and famine relief. By the time I left, the possibility of India playing a useful political role in the sub-continent which might have assisted the U.S. in achieving its global goals was relegated to the dustbin. 1965 July I was born and war was due perhaps. Great to know rhe US diplomat visiting Kashmere in 1965 thats wher our diplomatic connection with US dates back, i mean with regards to Kashmir directly. Kashmir once had a clear opertunity to decide with regards to independence when Indra Gadhi Firmly ruled India Pakistan was down under afte 72 war BUT abdulla familys only interest to stay in power fooling ordinary kashmiris changed the picture of kashmir which could have been totally different today. Personally i dontbsee India as an agressor of independent kashmir since india has many small neighbours which are mostly benifited by india. Pakistans fragile state of affairs with terrorism invading it internally more than any wher else made kashmir a battle ground of proxy war obvisouly Indian state after the brutal murder of Indra never recovered to be a stablising force to deal with pakistan. One more opertunity by Vajpaee govt was sabotoged within by bjp faction from pakistan.Kashmiris do have lot to complain beyond looking at them as hostile entities. Obvisouly Finances ,Economy,and manpower is what runs world today and kashmir is lacking these thus is forced to get into political financial based alliance all these years. abdullas have mastered this profitable business scheme and definitlyb benifits a close circle in delhi and often through dubia to pakistani friends. both ways indian money gets revolved in the gaming and betting of kashmir mostly as kashmier get most funds than most indiannstates which are never used and mostly drained out through ponzy schemes. Independent kashmir definitly will change this and both Indiannand pakistan will see kashmir as an economic opertunity than a pokitical battle ground for scoring points with internatioal community.Process can be obtained in steps with a broader autonomy within India and within next 10 years a independent stae with Bufer zones for UN and international observers. Win win equation for all the three parties and happy solution no wars. Kashmiris have to understand that pakistan is a hollow state which has been seriously dented within in these last 20 years of terrorism. From economy to political system all took a serious blow. However its army with dedicated generals is the only source which keeps pakistan in tact as a state. Another blessing in disguise pakistan got is the islamazation which keeps illetrate masses in some kind of u ified control. Pakistan has 50% illitracy and almost 60% within youth highest in the region.These factors can break any state into pieces at any given point of time. With almost no control in extreme north , blouchastan freedom movement with sind and punjab two different entities of one coin. A divided nation with fragile and corrupt political system cannot be a deal maker unless someone like Mussharaf who made an attempt with armys backing was at last minute back stabbed by sindi politico finance allince resulting in another war the kargil war.Kashmirirs have to think of their interest as an independent state and not independence from india to be misruled by pakistans frigle governments. Though they will have to maintain absolute peacfull friendly neighbouhood relations with both within international laws and protection as the swiss model in vision. Since today elections are being held in JK and the trend seems to …….for change…..i would like to draw a vision plan for the new govt. In jk and impplemented by new indian govt. duly supported by world community including neighbours primerly pakistan. 1. A peoples referdum in kashmir deciding their will for independence (only) Historical kashmir has been an independwnt state. 2. 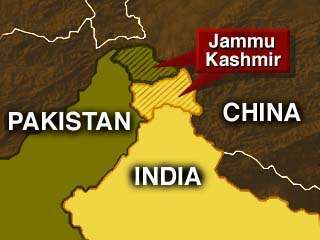 Jammu is intergral part of india they dont need any reeferedum but technically it may be held as JK. 3. If more than 50% vote for independence , a step by step process should be introduced by govt. Of india in this direction. 4. First as JK state it gets a broader autonomy with major and stretigic sectors run and with india. 5. A development programme to run an independent state should be introduce with new govt. which includes start of the process of division…..includes tranings, eductaion and economic investment programes. 6. A comprenhencive structure including constitution and laws which can sustain an independwnt but senstive state. It should not be like afganistan …..
7. Boarder issues which are key and major stumbling blocks between india nad pakistan have to be in favour of kashmir and indian kashmiris have to decide whether they want to annex pok which can make things more compkicate and further manage. It will lead to an afganistan like suitation….which i personally wont recommend till the time afganistan comes to complete stability and normallcy. Let pok run by pakistan and time can prove its accession to mainland valley……like north/south korea……..
8. Boareder line should be as it is of today and run /managed by india with international moniters which can include pakistan as well. China is a key playerin this area. 9. A boarder managemt agreement with indian can be signed for next 11 years with extension clause and a annexi with internaional moniters including immediate neighbours pakand china. India has to deliver this service free of cost till and until regional suitation which includes afg and parts of pakistan are free from terrorism and otyher unsatble issues. 10. Free trade economic pact with india /china including pak will be the only winner for independent kashmir. 11.Since kashmir is one of the most sensetive flash point in world its laws and constitunal rights with international gurantees must be endoresed by special team of experts from region with international panel of law makers. ie kashmir should adopt a presidentially system of electrote since the britisjph system is cracking in uk and in the region.its not proving stable for people and a new sensetive state cannot afford it…… more so most of the intelactuals are out and based out of kashmir……the new breed needs sustanilble and stable governing system beyond posts and votes. A Chninese provensional model can work well in kashmir at least for next 20 years and can be always amended with economic development and peace in the rwgion. The banking and financial model is ideal with indian ruppe since free trade will come into existance and within time frame for next 10 years with a central bank of kashmir managing and running business. Later when country stabilises politically and economically a private cxurrency can be introduced. Introducing private currency in this kind of currency market is as good as immpossible but a foundation needs to be laid fornitnfoe the future. ….and ahifting to new currency takes minimun 5 maximun 10 years…..europe has proved this…..there can be no shor cuts ….an afg. 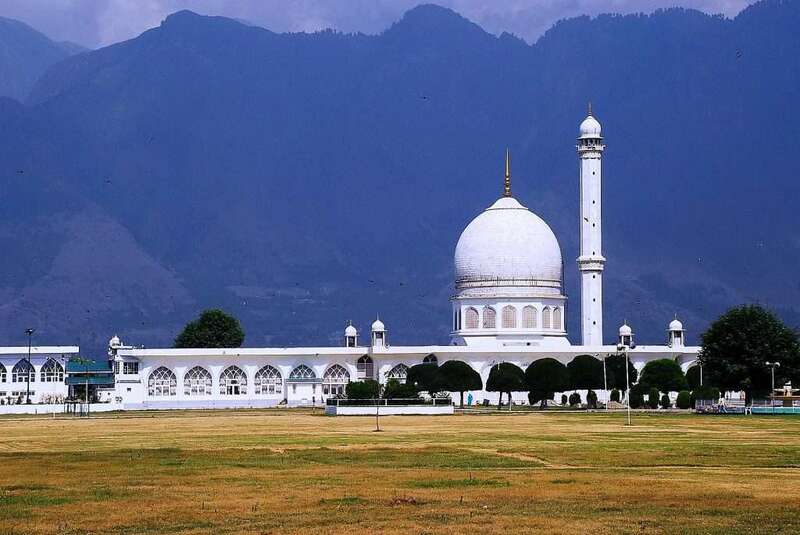 Model will bring econmoy to trash…..Central bank can offer excahnge servie to select currinces wich kashmiris can opt to save or deposit money in kasmiri bank …..branch locally. Since most revenue will be tourism…it is a must for banking…..
India with international community including pakistan/china need to creat a buffer zone along loc . The buffer area comesunder international control managed jointly by india/china /pak with global moniters and UN peace keepers. It has not to be converted into afgan pak boarder which is one of the most tragic and uncontrolled…..leaving afganistan open to anything. The buffer zone in first 10 years will be managed by indian troops as of now with international moniters /UN and experts from Pakistan (non political) who can plan a longterm vision for kashmiri independent boarder run jointly by India/pakistan/China. Kashmir will have a international pact of non agression with no army likethe swiss , with boarder and defence control with jointly oprated forces under common wealth countries, very important since the geo political lication and afgan problems still non managable by pakistan and international forces. Development of internal security forces is what kashmiri will focus on and develop this together with india and international support in future and in long run……since most of the burucracy and civial servicesare educated in india this makes perfect sence…….otherwise it will be an impossible task to run affairs….